Melissa Meyers: What hot Hamptons restaurants should we all be trying this summer? Almond’s move to the former One Ocean Road location comes as delightful news to me: it’s one of my favorite spots to have steamed mussels with shallots and white wine, and is now steps away from my home. Eric Lemonides and Chef Jason Weiner always deliver delicious French bistro fare using local produce and products, and their bouillabaisse is divine. After the enormous success of Tutto Il Giorno in Sag Harbor, Southamptonites are now blessed with a Tutto to call their own. With fresh grilled fish set in the most serene environment, the second location from Gabby Karan and Maurizio Marfoglia will be seeing me quite a bit this season. The rustic Italian fare is outstanding and the house made papardelle is a personal favorite. Richie Notar has finally found an East End home for Nobu at the newly renovated Capri Hotel in Southampton. Fashion designer Cynthia Rowley was enlisted to add her chic perspective to the interiors, as well as an expansive poolside and event area called The Bathing Club and her new on-site boutique. The best part, you ask? Oodles of Nobu catering at fabulous events this summer. Natural, local organic ingredients are the focus of all the dishes at Page at 63 Main in Sag Harbor. Try the Soba noodles and Asian steamed buns. They also have a fabulous quick-service cafe and juice bar – Back Page Café – located in back serving healthy, organic juices, smoothies, coffees, pastries, hot entrées, picnic lunches and other pre-packaged fare. New to Montauk is Ruschmeyer’s and its farm fresh restaurant courtesy of the boys behind Manhattan’s Fat Radish. With an emphasis on local ingredients, the menu focuses on clams, mussels and other seafood fresh from the ocean. As if you needed another reason to visit Shelter Island. The restaurant at this new 8-room boutique hotel near Crescent Beach features a solid French brasserie helmed by Charles le Tous (of L’Absinthe fame) and thoughtfully designed wine and cocktail menus. A favorite that opened last year is Todd Mitgang’s South Eddison, located by the sandy shores of Montauk, with its extensive raw bar, the all-important lobster roll, and other summertime classics. MM: What gift do you like to bring when visiting friends in the Hamptons? SY: Two great books to bring if you’re a houseguest this summer: Hamptons Gardens by Jack deLashmet offers a sneak peak into the East End’s most exciting private gardens, handpicked for this visually stunning tome; Savoring the Hamptons by Water Mill resident Silvia Lehrer is a culinary celebration, divided by season and comprising more than 250 recipes as well as stories and photos of local wineries, farmers, fisherman, artisans, and restaurateurs. MM: What’s your favorite beach read this summer? SY: For a fun beach read, check out Katie Lee’s Groundswell¸ a sentimental tale about the healing powers of surfing. 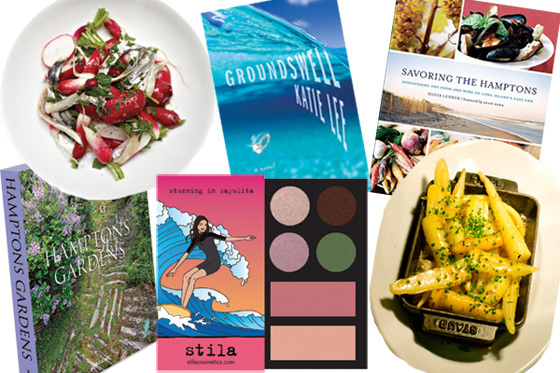 It even inspired a Stila makeup palette called Stunning in Sayulita ($14), available at Flying Point Surf & Sport in Southampton, featuring casual hues perfect for warm days on your long board. MM: Where are the trendy places to get polished and pampered? 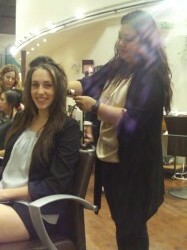 Paul Labrecque and his team of expert beauty professionals are now making house calls in the Hamptons. Clients will find the same range of services they can get at any of Paul’s three NYC salons – cuts, colors, spray tans, facials, nails, waxing – either in the comfort of their own home or, if applicable, on their boat. This summer sees Bianka Leffert debut an expanded 27 Hampton Salon in Southampton that includes a private VIP room to cater to higher-profile clientele. Of course she still carries lines I love like Oribe, Trish McEvoy and Kerastase, and the complete Ouidad line for curly hair. Bond No.9 opens its first Hamptons outpost, sweetly nestled inside The American Hotel in Sag Harbor. Decked out with a deep-sea-blue chandelier and mirrored accents, the stores carries all 45 scents, including Long Island-inspired eaux like Hamptons and Andy Warhol Montauk. Scented candles, soaps, body cream, body lotion, and other little luxuries are also on hand and a Sag Harbor fragrance is even in the works. MM: What are some of the chic boutiques and stores we should check out? Amongst the reptilian skin-clad beach bags from handbag designer Carlos Falchi lies the ultimate luxury – a python surfboard. And yes, I want it. 38 Main St, East Hampton, 631-324-5859. 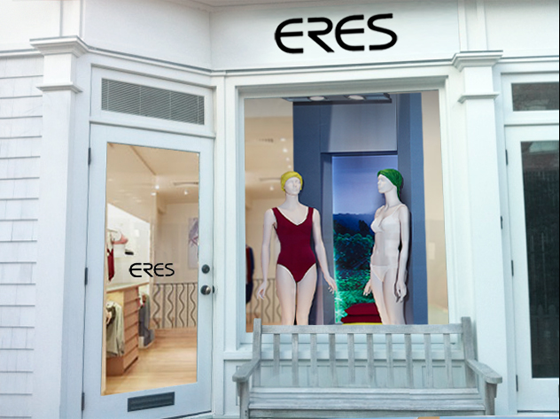 I love Eres for its lingerie and now the East Hampton outpost is spoiling us with chic swim separates. 55 Main St, East Hampton, 631-604-5544; eresparis.com. There’s more to Lacoste than classic polos in a rainbow of hues; the new store offers jewelry, accessories, beach towels and fragrance. 48 Main St, East Hampton; lacoste.com. My one-stop-shop for wedges and sandals this season. Also stocking an array of patterned espadrilles from Theodora & Callum, the great new label by Desiree Gruber and Stefani Greenfield. 53 The Circle, East Hampton; theodoraandcallum.com. Still looking for Father’s Day goodies? This swimwear boutique from St. Barth’s specializes in men’s beachwear, with swim trunks from the likes of Orlebar Brown and Sundek. 53 Jobs Lane, Southampton, 631-873-4121. I love the huge Cut25 selection, Yigal’s secondary line of baby blankets and T-shirts made from the excess fabrics of his RTW collections. 2415 Main St, Bridgehampton; yigal-azrouel.com. I have always loved Louis and Allison’s modern approach to Hamptons’ homes and knew their fantastic Beach Couture shop would be stocked with great finds. 2424 Main St, Bridgehampton, 631-537-2488; maison24.com. Samantha Yanks, Editor in Chief of Niche Media’s Gotham and Hamptons magazines, is an extraordinary talent in the publishing business with 10 years experience in the fashion and publishing fields. As Editor in Chief, Yanks is responsible for overseeing the editorial pages and securing and managing the magazines’ high-profile contributors and covers. She generates content that focuses on New York and Hamptons-based personalities, establishments and the best that the city has to offer in the worlds of beauty, business, culture and dining, entertainment, fashion, interior design, and real estate. Prior to her current position, Yanks was Fashion & Accessories Director for Niche Media where she scoured the country for fashion in every city filling her pages in Aspen Peak, Boston Common, Capitol File, Gotham, Hamptons, Los Angeles Confidential, Michigan Avenue, and Philadelphia Style with the hottest trends around. Before that, Yanks was Senior Accessories Editor at O, The Oprah Magazine where she oversaw the department and assisted Oprah Winfrey in compiling her monthly “O List”. Yanks nurtured and honed her talents at Vogue Magazine in the Fashion and Accessories department where her career quickly blossomed from Associate Accessories Editor to Accessories Editor in her five years at the magazine.Most recently Yanks has become an on-air expert on numerous television segments discussing fashion, beauty and lifestyle. She has appeared on News 12, NBC’s “The Today Show”, “Nightly News” and LX TV, and is regularly featured on Taxi TV. Samantha Yanks graduated from Tulane University with a Bachelors degree. Today she lives in Greenwich Village with her husband and daughter.